Electrum is a metal alloy mainly consisting of gold, silver and traces of some other metals. This naturally occurring alloy has a long history of being used for making coins, vessels and also for coatings. It was referred to as ‘gold’ or ‘white gold’ by ancient Greeks. The pale yellow or white color of this alloy helps in distinguishing it from gold. A chemical analysis of the sample is required for factual confirmation. It is mainly composed of gold and silver; however, traces of other metals like platinum and copper can also be found in it. The proportions of gold and silver contents may vary greatly. The name “Electrum” is derived from the Greek word “Elektron” which refers to metallic substance containing gold and silver. This alloy of gold is naturally found in gold and silver deposits with high silver contents. It is found in places like North and South America, Europe and New Zealand. This metal alloy is denoted by the symbols of its main constituent metals. The symbol for this alloy is Au,Ag. Here are some of the main physical and chemical properties of this metal alloy. Appearance: The color varies from yellowish-white to pale yellow depending on the amount of silver present in it. Solubility: This metal is insoluble in water. Density: The average density of this substance is somewhere between 12.5 gm/cm3 and 15 gm/cm3. Electric Conductivity: The small copper and platinum contents make it a good electric conductor. This gold-silver alloy has a long history of being used by humans. It was used for different purposes since third millennium BC. However, the variation in the gold and silver contents of this alloy made it difficult to decide the value of each coin. Due to this reason, foreign trading of that time was seriously hampered. In order to solve this problem, pure silver coins were introduced in 570 BC. 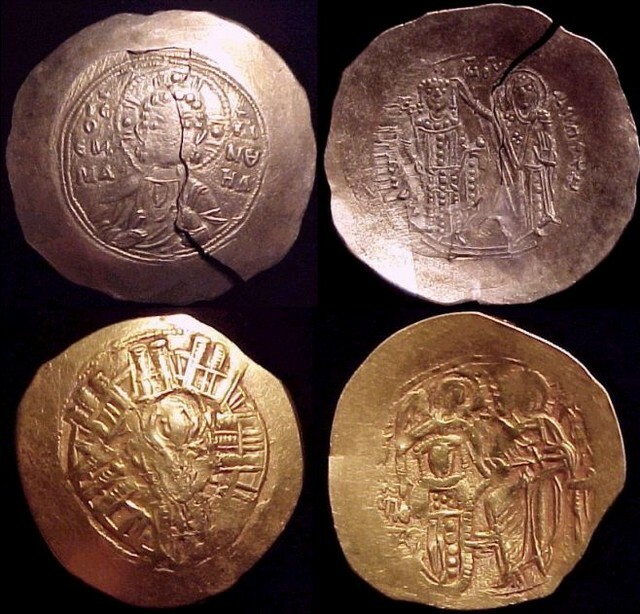 But the new silver coins did not entirely replace the Electrum ones as the later was much more valuable than the former for their gold content. Around 350 BC, the Electrum coins went out of use. The uses of this alloy were similar to gold. In fact, It was more preferred than gold for coinage for its better hardness and durability. Another reason for the preference was that the techniques of refining gold were not very prevalent at that time. This metal was used for coating the exteriors of pyramidions (the uppermost piece of an Egyptian pyramid). Electrum was also used for making coins and drinking vessels in ancient times. Thrones, chariots, statues, amulets and jewelry were also made using this alloy. Electrum coins are considered to be valuable collectables. These coins are available at antique stores and their prices vary according to their composition. Other objects like jewelry, furniture and dinnerware made from this metal are also regarded as antique pieces.